July 13, 2015 — Intertec has developed an innovative ATEX-compliant HVAC system that provides a complete all-in-one climate control and personnel safety solution for walk-in style process analytical instrumentation shelters. 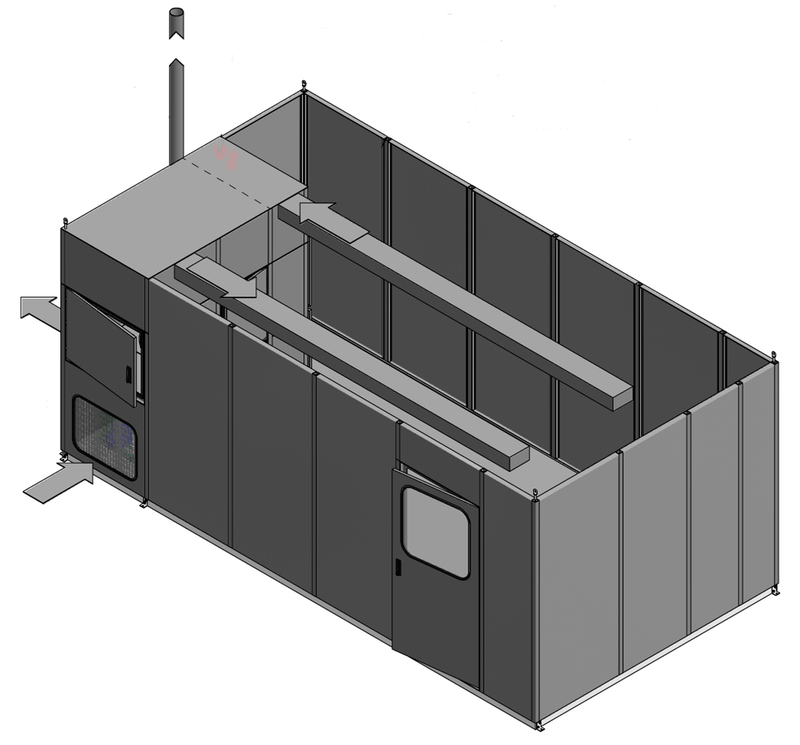 It is customisable and scaleable to suit a broad range of applications, and can be supplied fully integrated within the shelter or as an external standalone unit. 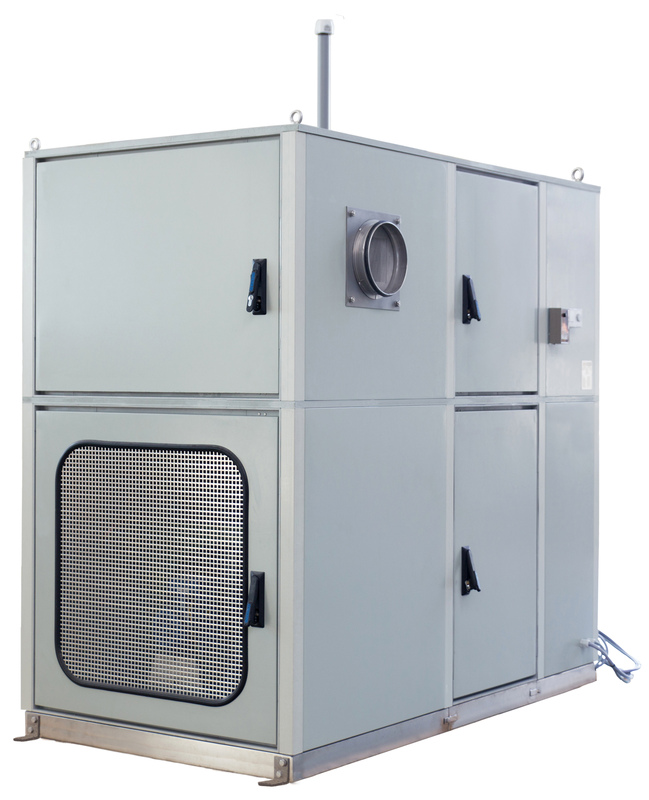 Designed specifically for hazardous area applications up to zone 1, the system delivers a steady flow of conditioned and filtered clean air to the shelter, maintaining it slightly above atmospheric pressure to prevent the ingress of dust or gas. It is especially suitable for oil/gas refineries, petrochemical and chemical plants that operate in extremely hot or cold climates, or where atmospheric contaminants pose safety, health or corrosion issues with conventional through-flow air conditioning systems. To help ensure measurement accuracy, sensitive equipment such as process analyzers and sample conditioning systems needs to be maintained at a constant temperature. This is usually achieved by using a thermally regulated shelter. And to avoid long sample transport tubes, which can affect accuracy and delay response times, the equipment is often located as close to the process as possible. These factors can necessarily involve housing operating personnel and equipment in a potentially hazardous area of the plant, demanding that adequate safety precautions are taken. The prime requirement is that the shelter and any associated equipment such as air conditioners must be explosion-proof. Nearly all explosion-proof air conditioning systems on the market are contained in metal enclosures, which are susceptible to corrosion. Intertec’s new HVAC system is unique in that its entire housing is constructed from the company’s proprietary GRP (glass reinforced polyester) triple-layer composite material. This comprises inner and outer layers of GRP enclosing a thermally insulating core; the wall thickness and core properties can be varied to suit the application and operating environment. The GRP is the same electrically conductive variant that Intertec uses for its explosion-proof analyzer shelters. It fully complies with the antistatic requirements of the DIN/EN/IEC 60079-0 safety standards for equipment intended for use in explosive atmospheres. As a construction material for equipment shelters, composite GRP has enormous advantages over metal – it is impervious to corrosion from most commonly-encountered atmospheric contaminants and is an excellent thermal insulator. It has a similar strength to stainless steel, but is about 75 percent lighter, making transport, site preparation and installation easier and less expensive. 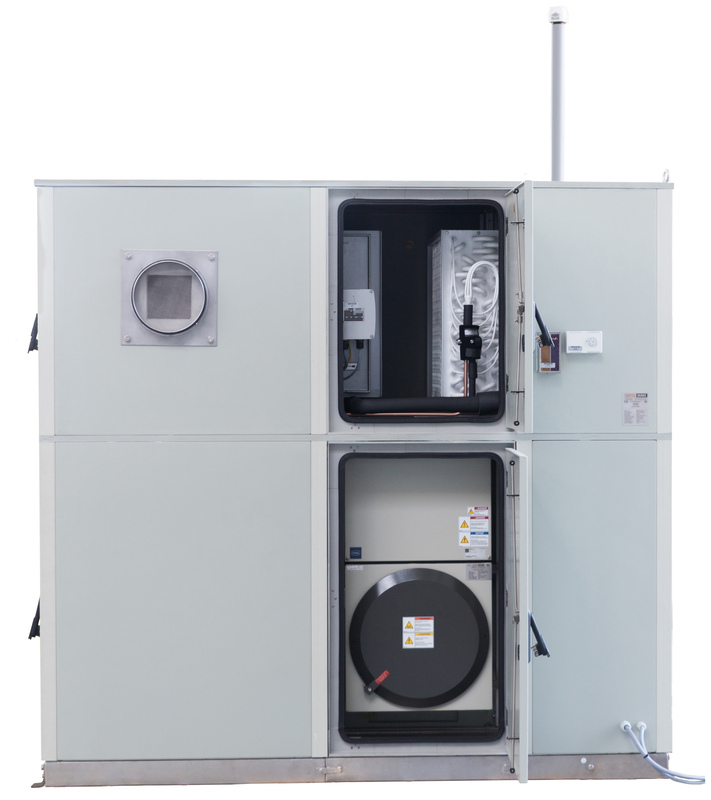 A further key feature of Intertec’s new HVAC system is that it can be fully integrated within the analyzer shelter, or installed as a standalone unit against its external wall. The option of internal installation has major advantages: it saves space and cost, reduces energy consumption by eliminating the thermally inefficient air duct of conventional standalone units, and facilitates configurations that are simply not possible with external systems. The system is also fully scaleable to suit the application requirements and intended operating environment, with heating and cooling capacities from 6 kW upwards. The first systems that Intertec is building are designed primarily for ventilation and cooling purposes, to maintain analyzer shelters located in a relatively warm climate at a constant temperature 24/7, by compensating for differences between daytime and night-time temperatures, and for seasonal variations throughout the year. 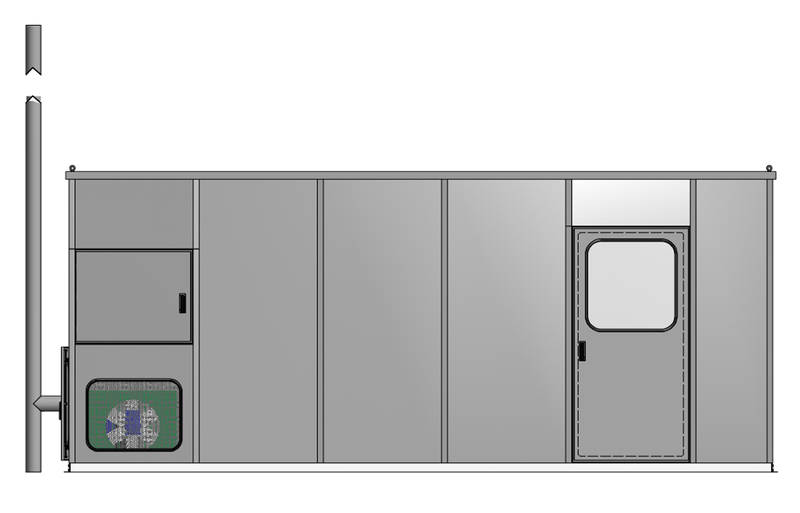 Occupying just 4.4 cubic metres of space, they provide an 8 kW cooling capacity and a 5 kW heating capacity, and accommodate an ambient (external) temperature range of minus 20 to 55 degrees Celsius. A variety of fully integrated heating options is available, including an explosion-proof electrical heater and a temperature-controlled condensate vapour heat exchanger. Dehumidification is accomplished by refrigeration; the moist incoming air is initially cooled to promote condensation, and then heated – if necessary – to bring it back up to the required temperature. The HVAC system operates entirely automatically. The flow rate of ventilating air depends on the application. The standards for explosion protection of pressurised process analyzer shelters, such as IEC/EN 61285 and NFPA 496, mandate various air exchange rates to ensure adequate dilution of explosive or poisonous gas leaking from equipment inside the shelter, ranging from 5 to 12 complete air exchanges per hour. The system’s main axial fan is monitored by a differential pressure switch, to ensure that the air inside the shelter is constantly maintained at a slightly higher pressure than atmospheric, automatically compensating for any sudden increase in air leakage when the entry door is opened. Any over-pressure conditions are adjusted by a poppet valve. The air temperature inside the shelter is controlled by a capillary tube room thermostat with its remote sensing bulb located in the system’s air output duct for accuracy. Intertec’s new explosion-proof HVAC system is ATEX certified for gas group IIC and temperature class T3 or T4 applications. The system is designed to operate directly from a standard 400 V 50 Hz or 460 V 60 Hz three-phase supply. Intertec produces an extensive range of analyzer shelters for process applications, most of which are manufactured from composite GRP. By varying the thickness of the inner and outer GRP layers, as well as the materials that are used for the thermally-insulating core of the composite, the company is able to meet a broad diversity of application needs, including fire-resistant, blast-proof and explosion-proof versions of shelters. Intertec Instrumentation Ltd, 14a Riverbank, Lower Beach Road, Shoreham-by-Sea, West Sussex BN43 5YH, UK. Intertec Instrumentation B.V., Oerseweg 2b, 7071 PP Ulft, The Netherlands. 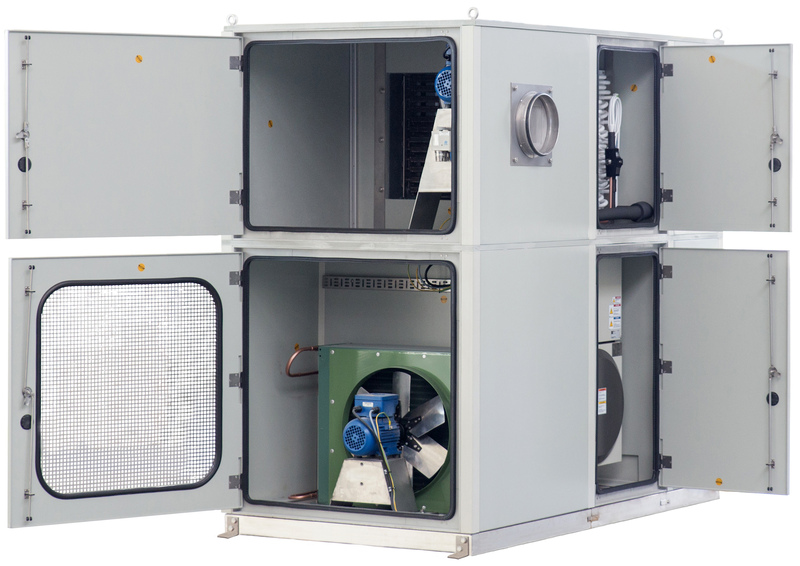 Intertec’s new explosion-proof HVAC system is an all-in-one design that handles ventilating, heating, cooling, dehumidifying, air filtering, purging and pressurisation of shelters in hazardous areas. Intertec’s ATEX-compliant HVAC system provides a customisable and fully scaleable climate control solution that can be mounted inside or outside the analyzer shelter. Intertec’s new explosion-proof HVAC system can be fully integrated within an analyzer shelter to save space, cost and energy, paving the way for a new generation of high performance shelters.